Dr. David B. Nichols discovered his mission early in life. As a young medical student in Canada, Nichols visited his parents who had moved to Virginia and toured Tangier Island, located 10 miles off the state’s coastline in the Chesapeake Bay. While there, Nichols learned that the remote island had no reliable medical care. From that moment, he decided to earn a medical degree so that he could provide care to people who lived on the island. He completed his residency in Virginia and earned his pilot certificate so that he could fly to the island to provide care. For more than three decades, he faithfully flew a Cessna Skylane or Robinson R44 to the island nearly every Thursday. And, for many on the island, he was the first mainland professional who had ever shown such commitment. Nichols, 62, died in his Virginia home Dec. 30 after a short battle with cancer, but he is still serving that small community. A new clinic needs a staff to continue running it long into the future. And he took care of that too. The clinic is in good hands with Tangier native Inez Pruitt, Nichols’ physician assistant, whom he first met when she was a teenage patient and then mentored until she earned her degree. In 2008, Nichols affiliated his practice with the Riverside Medical Group, which will continue to make weekly trips to the island. The group began making regular calls to Tangier when Nichols grounded himself from flying and stopped practicing medicine after the diagnosis. Nichols continued to make trips to the island, however. His son flew him over, and occasionally Nichols stayed overnight in a small apartment above the new clinic. He even made trips earlier this month, despite his deteriorating health and strength. That’s because Tangier was more than a remote island to him. “On Tangier, you are a little closer to heaven,” Nichols frequently remarked. And the nearly 600 residents were more than patients—they were like family. The gentle, soft-spoken man would beam as he spoke to the islanders, and he introduced every newcomer to the island in the same way: He’d take a waterman’s hand (crabbing is the island’s primary industry), cradle it in his hands, and ask the mainland visitor to “take a look at those barnacles.” He was proud of them and worked hard to keep them in good health so that they could provide for their families. Word of Nichols’ special bond with and dedication to the residents of Tangier Island quickly spread—sometimes against his will. He was very humble and satisfied to continue his work without accolade. But his close associates, Kimberly Clark from his White Stone, Va., family practice, and Pruitt from the Tangier practice, secretly nominated him for “Country Doctor of the Year 2006.” He won. AOPA turned to him for assistance in its General Aviation Serves America campaign, and he helped film a commercial about the important role small airports play in helping him provide medical care on the island. He was also the focus of an article in the September 2009 “ AOPA Pilot”. In June, Nichols was featured on National Public Radio. Soon after the feature aired, and only weeks before the culmination of his efforts on the David B. Nichols Health Center, the unexpected news of his terminal illness was announced. Then, the well-deserved recognition came pouring in. Sketch of the Dr. David Nichols Health Center, designed by William D. Prillaman. He was highlighted on NBC Nightly News “ Making a Difference” and recognized by local, state, and national dignitaries and aviation associations during the clinic’s opening ceremony. He also was honored with the first “Country Doctor of the Decade” award. AOPA presented Nichols with a Presidential Citation for the use of GA in his humanitarian efforts. Nichols, who knew his time with the island residents was running short, reassured the Tangier community of his love and dedication during a bittersweet speech Aug. 29 at the clinic’s grand opening. Although funeral details have not yet been released, a report by the “ Richmond Times-Dispatch” states that Nichols’ ashes will be spread on the island near the clinic. 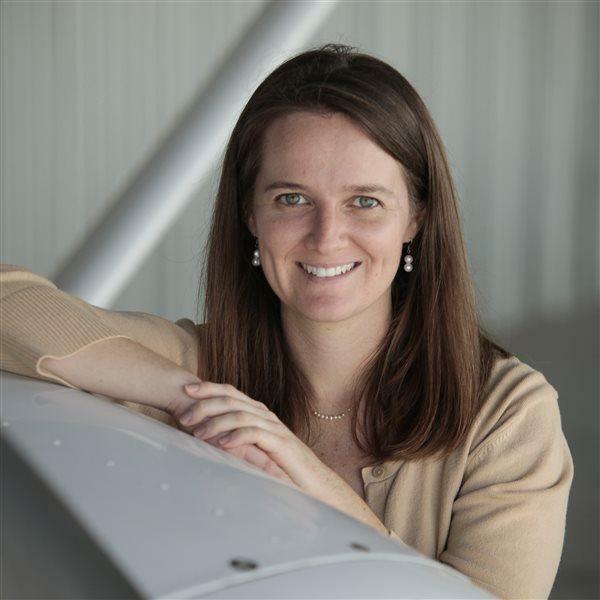 AOPA Director of eMedia and Online Managing Editor Alyssa J. Miller has worked at AOPA since 2004 and is an active flight instructor.